The Historic Commercial Vehicle Club welcomes new members, no matter what type of vehicle they own and even if they do not own a vehicle at all, an interest in older commercial vehicles is all that is needed. With multi membership or (spouse membership) each adult member is accorded equal rights and obligations as a single member, i.e. each adult member has the right to vote and hold office. Dependant members do not have voting rights and this membership receives one copy of The Monitor. An additional fee of $10.00 is applicable. 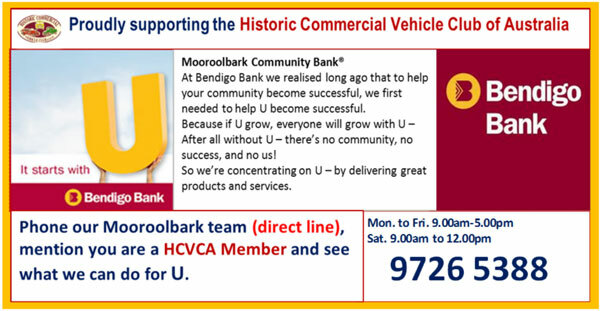 You can download a Membership Application Form for the Historic Commercial Vehicle Club of Australia in a format that suits you and once you have completed, return it to the Club using the details on the Form.